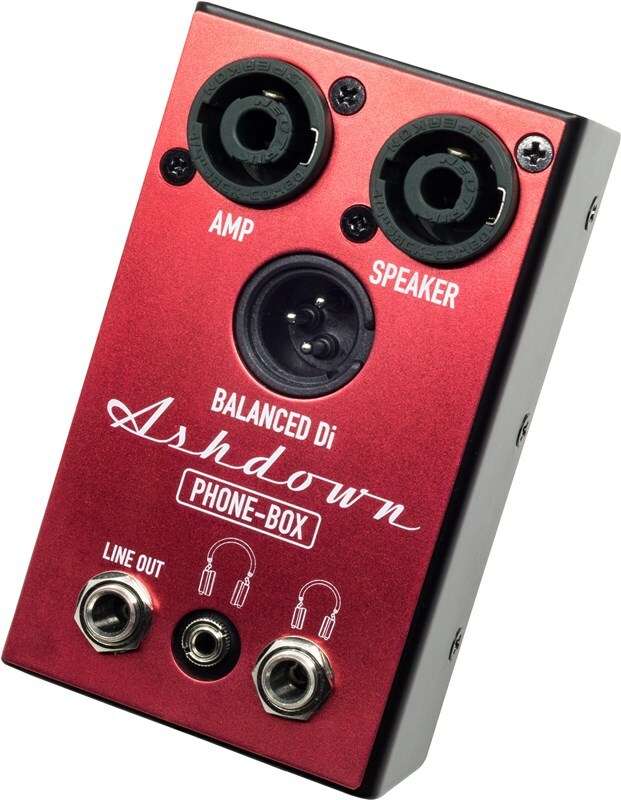 The Ashdown Phone-Box can be used as a DI box. As before, connect the output of the amplifier to the Phone Box using the socket marked 'AMP' and then connect your speaker cabinet to the output socket marked 'SPEAKER'. Lastly, take a balanced signal to the mixing desk of an In-house PA via the 'BALANCED Di' output. The 'Line Out' can be used as a recording-out into your audio interface. 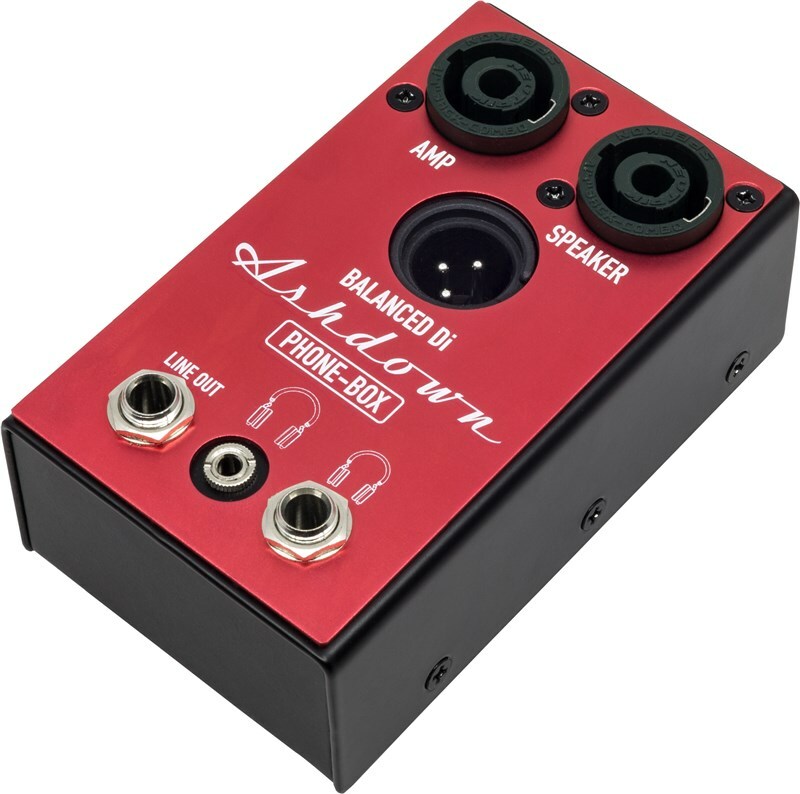 The Line Out and Headphone Outputs can be used at the same time, as can the Balanced Di Output. Whilst the plethora of new style lightweight portable low power bass heads feature headphone output sockets - they are not usually included in the feature set of high end or vintage professional Bass amplifiers designed for live performances, this can present a bit of a problem when you need to use such a head or combo in a restricted environment for silent monitoring when recording or rehearsing. 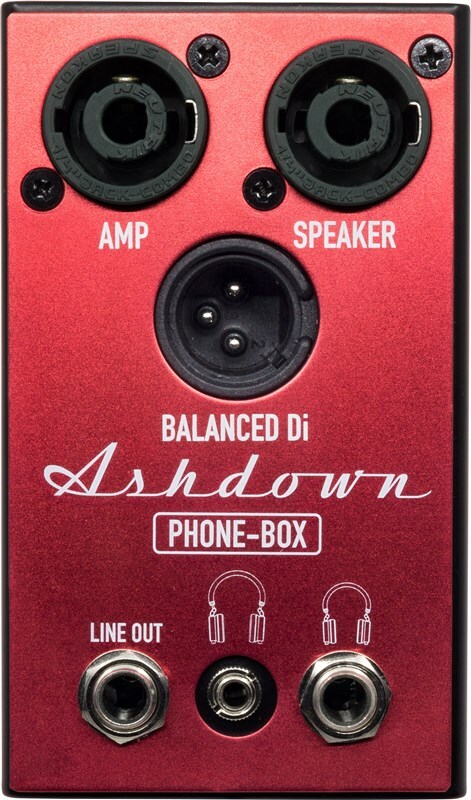 The Ashdown Phone Box addresses this problem, designed for use with most types of solid state amplifiers, the phone box connects between the amp head and speaker to allow connection of headphones to amps lacking a headphone output. 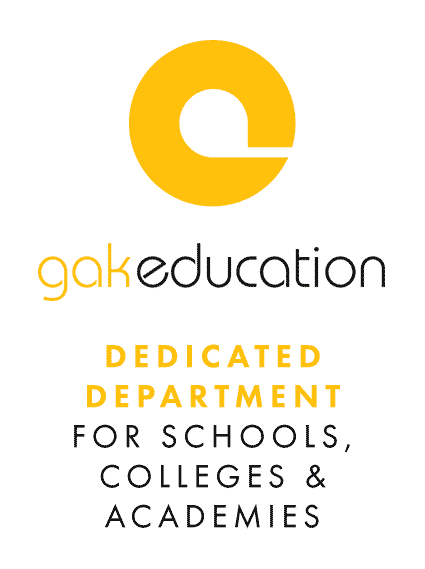 Also provides a line out 1/4 jack plus a balanced DI. 1/4” Headphone output socket for use with any quality headphones.